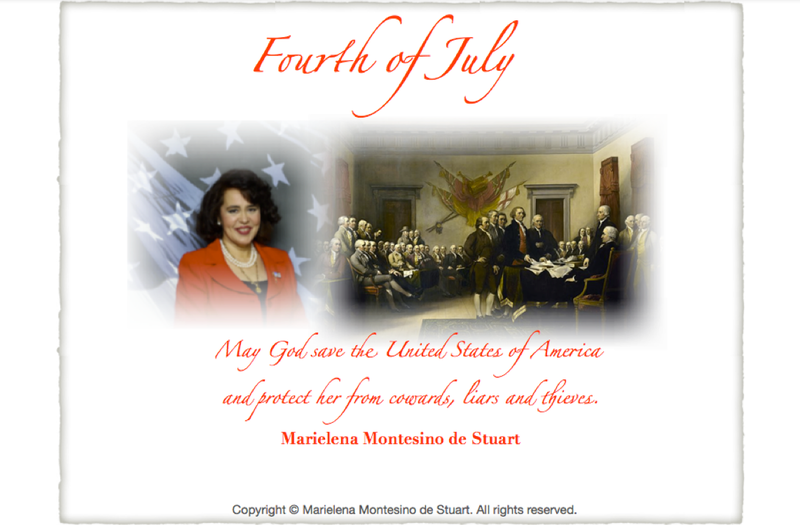 Marielena Montesino de Stuart | COURAGE FOR AMERICA! Wow… one great speech after another! Just heard Pastor Mark Burns. He brought people to tears with words of unity for ALL Americans. God bless him! I wish all my readers and their loved ones a blessed and peaceful Memorial Day. I am in Washington DC, a great place to remember and honor our fallen heroes. I must say that it is impressive to see the capital of our great nation filled with thousands of patriotic Americans, as well as foreigners, who are here to pay their respects for those who gave their lives so that we would not suffer oppression. It is significant to note that this city is also filled today with thousands of Trump supporters everywhere– who also came to hear him speak in front of the Lincoln Memorial. Indeed, an unforgettable event. May God bless the United States of America and the members of our extraordinary Armed Forces. Be filled with faith and pride. The best days for our nation are yet to come! MEMORIAL DAY 2014 | © Marielena Montesino de Stuart. All rights reserved. MEMORIAL DAY 2014 | © Marielena Montesino de Stuart. All rights reserved..
Easter Sunday in Spain: He is Risen! Rejoice! | © Marielena Montesino de Stuart. All rights reserved. Easter Sunday in Spain: He is Risen! Rejoice! | © Marielena Montesino de Stuart. All rights reserved..
HMQ Elizabeth II and Francis: Whisky, honey and soaps… what a difference 480 years make | © Marielena Montesino de Stuart. All rights reserved. HMQ Elizabeth II and Francis: Whisky, honey and soaps… what a difference 480 years make | © Marielena Montesino de Stuart. All rights reserved..